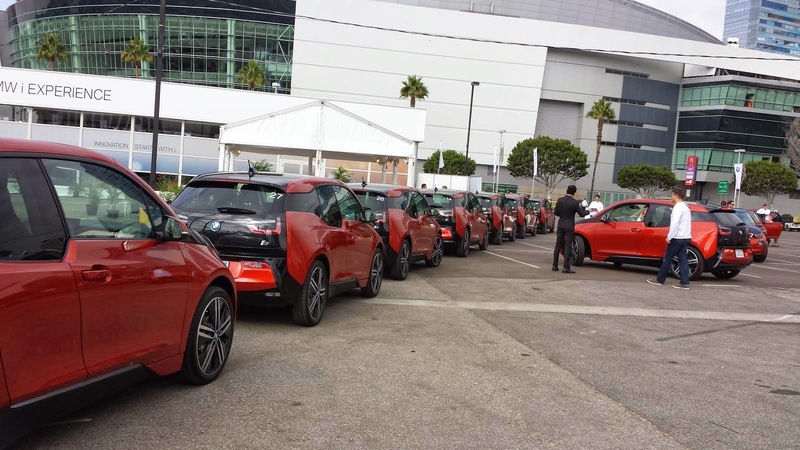 BMW i3 - A Success Story? I had big reservations on the success of the little BMW i3, i thought it was overpriced (42.000$ for a Supermini! ), and above all, too un-BMW for people to relate to it. But sales are brisk, with a regular presence in the World EV Top 10, leading BMW to increase production to meet demand, and the Little Electric Car with Hot Hatch Genes isn't yet selling in the two major EV markets (USA and Japan). It is #1 in four countries (Germany, Portugal, Czech Republic and Poland), but it also has other meritable positions elsewhere (Presumed #2 in the UK, #2 in Spain, Belgium and Austria, #3 in Switzerland and Italy), and i've been told that it's happening a curious fact: People that never thought in buying a regular BMW are now going to the separate "i" dealerships to know more about it, so this might be a great move from the german automaker, catching a new demographic outside it's traditional (*Cough* Tossers *Cough*) one. Besides the slow return of the French market, growing for the third consecutive time (1.257 units), we register the Outlander PHEV return to form in the Netherlands, winning for the first time this year the leadership in the global market and leading the local EV Share to rise to 4,22%, in Norway,the market is Back to Earth 2020, before the arrival of the e-Golf and new jump to uncharted territory (20% EV Share?). The German Spaceship is gaining momentum (0,33% vs 0,23% EV share last year), with the Outlander PHEV threatening the homeboys to give them a run for its money. China is another giant slowly waking up (0,12% vs 0,08% in '13), with monthly sales going above the 2.000 units, propelled by the ever-improving BYD Qin. Will the UK join the Major League? Let's hope so, for now the 2014 data regarding it scarce, with only global sales and the Nissan Leaf numbers available, but these are enough to say that the Sunderland-built car is responsible for half the sales here (1.038 units) and it's going for a new yearly record, maybe doubling last year numbers (1.812 in '13). 3 - Will the Outlander PHEV reach again the global #1 in Netherlands? 4 - Will the Qin reach the 1.000 registrations? 5 - Will Tesla make a comeback and reach #1's? 6 - How many #1's will the Outlander PHEV collect? Japan is a highly seasonal market, with April and May being the worst selling months of the year, but this April reached only 985 units, the worst performance of the last two years, for the record, in April '13, there were 1.364 units. An Off month? Let's wait and see. All models suffered, but the Nissan Leaf (508 units sold) was the least affected, increasing some 300 units its advance over the #2, the Outlander PHEV. . Looking at the manufacturers ranking, Nissan (47%) surpassed Mitsubishi (45%), but 2% share is nothing between these two, so it looks like the race will hard untill the end. Will we see the Outlander PHEV finally climb to #1 next month? With more than 7.000 units sold in April, the European EV market doubled sales regarding the same month last year and the YTD numbers are 87% above last year, so there are reasons to be optimistic. Looking at the models ranking, the Outlander PHEV was the Best Seller of the month, with 2.155 units, changing positions with the Model S (Just 356 units sold) and climbing to #2 YTD, while at the same time it shortened changes to the Nissan Leaf, if the Mitsu e-SUV keeps this pace in May, the 514 units separating it from the Leaf leadership will be short to keep it out of #1. But changes didn't stopped there, the VW e-Up! climbed another position to #5 and the Peugeot iOn climbed to #17, dropping Goupil to #18. Looking at the brands ranking, the Nissan leadership is now threatened by Mitsubishi (18% vs 17%), while the fight for Third Place is also hot, with Renault and Tesla tied with 13% share, but with BMW (11%) and Volkswagen running close. 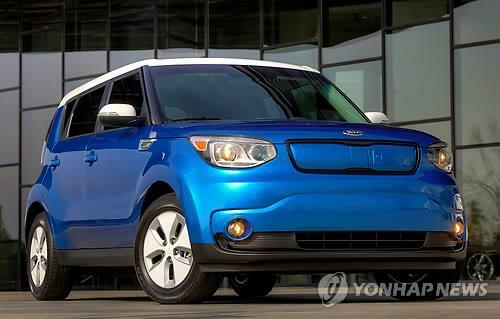 Kia Soul EV: Is this the car that will kick electric car sales? Looking at the YTD ranking, Samsung continues to lead the race with 64 units (4 in April), followed by the Kia Ray EV (57 registrations, 3 of them in April) and in a distant third we have the Chevrolet Spark EV, with 18 units. A final mention for the BMW i3, registering three units, will it put a fight to the Chevy Spark? It might seem odd to post a March article regarding China just when a few days ago another post showed sales in the same market regarding April, but thanks to an anonymous tip, i can post a comprehensive and accurate ranking regarding the three first months of electric car sales in China, something still rare these days. And what a fascinating ranking it is, with just two foreign cars present (Tesla Model S and Chevrolet Volt, both in #10), this is something of a New Territory for eyes outside China. 1. BYD Qin - Something of a Chinese Tesla, this PHEV performance sedan (0-100 km/h in 5.9s) has landed with a splash and it's continuing to grow sales month after month. 2. Chery QQ3 EV - Leader for the past two years and despite increasing sales, the little city car couldn't do nothing to sustain Qin's race to the Top Spot. 3. BYD e6 - Probably the most known electric car coming out of China, this MPV is used frequently for taxi use because of the combination between space, practicality and long range (300 kms). Into its fifth year in the market, it's running to beat it's own sales record (1.690 in '12) this year. 4. Zotye E20 - A recent addition to the market (Effectively launched this March), this awkward looking city car (Think Smart Fortwo) comes from Zotye, a longtime promoter of electric cars in China, and has one firm goal: To go after Chery and become the best Non-BYD EV brand in China. 5. 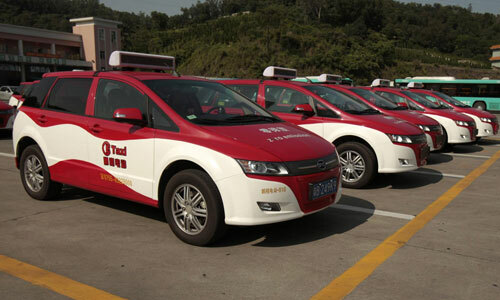 JAC J3 EV - Currently the most ancient electric car on sale in China (It dates back from early 2010), it has been bleeding sales to the newer and more competitive competition, selling a third of what it used to, with more and more new cars coming to scene, the life of this precursor looks more and more difficult. Zotye T200 EV - AKA "Deeply facelifted 1st Gen Daihatsu Terios"
Chinese EV Sales mounted to 17.642 units in 2013, which made it the fourth lartgest market globally and represented a 38% increase over 2012, when sales reached 12.791 units, but because the Chinese Auto Market is gigantic, it translated in just 0,08% Share. Sales this year are now at 7.591 in just four months, with new entries coming soon and limitations to ICE circulation in major Chinese cities, sales will only improve, will we see them hit 30.000 by year end? For now EV Share is at 0,12%, an encouraging improvement allowing China to have a higher EV Share this year than Italy (0,08%) or Spain (0,07%), for example. Based on certified data and past performances, the presumed Top 5 had plenty of changes regarding last year ranking, with a new leader, the BYD Qin, selling 3.294 units and collecting 43% on the market, which is also on its way to obliterate Chery's QQ3 EV yearly record (5.305 units in 2012). One could say that the Qin is shaking things up, eh? Despite increasing sales significantly, the Chery QQ3 EV dropped to #2, selling roughly 2.600 units, followed by the BYD e6, up one position and doubling sales (881 registrations) regarding a year ago (Is it the Qin-factor spreading to the older e6? ), while the JAC J3 EV dropped three positions to #5, with some 200 sales, no doubt affected by the younger competition. 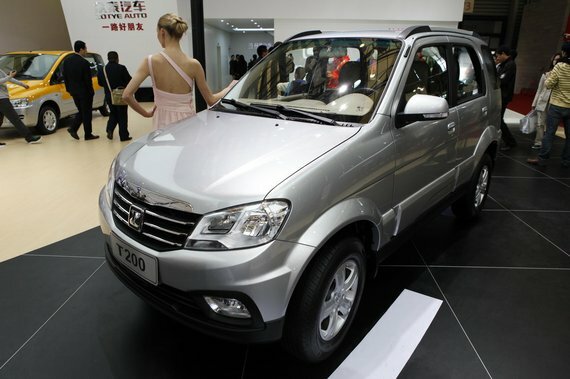 Finally, a surprise at #4: The Zotye E20, with 396 units. Like the Qin, it's a recent addition to the market and it comes with the purpose of being the king of the small (Think Smart ED) electric cars, a segment experts say it will balloon in China in the following years. By brands, two manufacturers dominate the market: BYD leads the ranking, with 55% share, followed by Chery with 36%. In a distant Third we get Zotye with 5%. Ever wondered what kind of frunk would the i3 have? Another record breaking month in Austria, with 171 units registered, and with the YTD numbers now at 500 units, the all time record (1.193 EV's in 2012) seems to be well within the reach. Austrians seem to have a new favorite for Number One, with the bavarian i3 winning the Best Seller title (45 units) for the third time in a row, with the french Zoe relegated to #2...By the third time in a row, just like the VW e-Up! (28 registrations), Third...For the third time in a row, so we see a clear 1-2-3 hierarchy here. 138 EV's were sold last month in Switzerland, with three models representing the bulk of sales:. 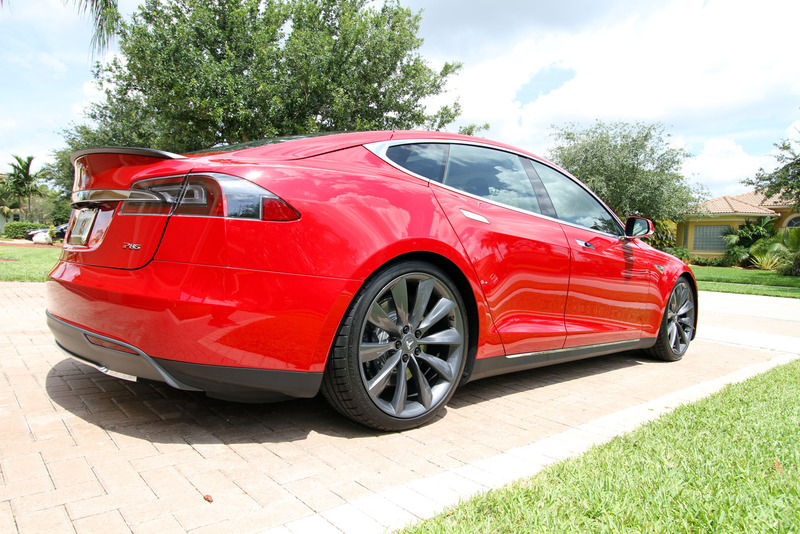 - Third in April (16 units), but leader YTD (149), the Model S from Tesla is now being chased by the aforementioned hatches above, with the race for Best Seller starting to look interesting. Looking at the manufacturers ranking, the race is even more tight, with Tesla ahead (29% share), followed closely by Renault (27%) and BMW (20%).